Analysis: It didn't take long for the veteran free agent to find a new team following his release from the Patriots, as Allen nearly signed with the Ravens before ultimately locking in a two-year pack with the AFC East rival just days later. The team's 2018 second-round pick, Mike Gesicki, headlines a talented but unproven tight end depth chart. meaning Allen will likely reprise his role with the Patriots as a blocking specialist, albeit with a different team. Analysis: Allen has wasted no time after getting released by the Patriots on Monday. The veteran tight end had 13 receptions and one touchdown during his two-season stint in New England. Analysis: The veteran tight end was due a base salary of $6.4 million in 2019, which seemed to make this move a mere formality considering Allen had just 13 receptions total in the past two seasons. 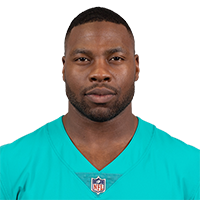 There's a possibility Allen could return to the Patriots for less money, but with a deep pool of potential replacements either via free agency or the upcoming draft, the 29-year-old might see a lukewarm response from other teams on the open market. Analysis: As usual, Allen was limited to a blocking role during his time on the field and finished the postseason without any targets. Allen is under contract through 2019 but probably won't be in store for a significant role in the Patriots' passing game even if top tight end Rob Gronkowksi opts to retire over the offseason. Analysis: Allen will play through a minor knee injury versus the Chargers. Expect the veteran tight end to take rotational snaps behind Rob Gronkowski, and see most of his usage as a blocker. Analysis: Allen continues to nurse a minor knee injury, and will attempt to play through the issue during Sunday's divisional-round contest against the Chargers. If he's able to go, Allen will take rotational snaps behind top tight end Rob Gronkowski. Allen finished the 2018 season with three catches on four targets for 27 yards in 13 games. Analysis: In his two seasons with the Patriots, Allen has seen limited action in the team's passing game. The tight end's blocking ability is how he earns his keep, but looking ahead, Allen's cap hit is slated to rise to $7.4 million in 2019. That figure will need to be reduced in order for the Patriots to consider retaining the 28-year-old. Allen (knee) is listed as active for Sunday's game against the Jets. Analysis: Allen was limited during Friday's practice due to a minor knee injury, but he'll suit up during the Patriots' regular season finale. Despite logging 37 offensive snaps against the Bills in Week 16, Allen failed to see a single target throughout the contest. Allen (knee) is questionable for Sunday's game against the Jets. Analysis: Allen was added to Friday's injury report with a knee injury and was a limited participant in practice. If the veteran tight end is able to suit up Week 17, he could receive a slight uptick in snaps with Jacob Hollister (hamstring) ruled out. Allen logged 37 of a possible 75 snaps on offense in Sunday's 24-12 win over the Bills. Analysis: In his two games since returning from a knee injury, Allen has not been targeted. With just three catches on four targets for 27 yards in 12 games overall, the tight end is well off the fantasy radar. 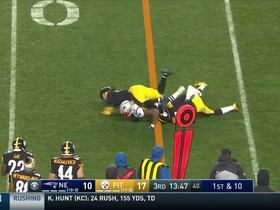 Allen was on the field for three of the Patriots' 62 snaps on offense in Sunday's 17-10 loss to the Steelers. Analysis: Allen's return from a knee injury bolsters the team's tight end depth, but as long as Rob Gronkowski remains healthy, there's not much left for Allen to do in the Patriots' passing game. He was not targeted Sunday. Allen (knee) was a full participant at Wednesday's practice. Analysis: Allen was able to practice fully last Friday, but was listed as questionable and ultimately didn't travel with the team to Miami. The 28-year-old has missed the last three games but appears on track to return Week 15 at Pittsburgh. Allen (knee) was downgraded to out for Sunday's game against the Dolphins, Doug Kyed of NESN.com reports. Analysis: Allen progressed to full practice participation Friday but was unable to travel with the team to Miami. Rob Gronkowski and Jacob Hollister are the Patriots' remaining available tight ends, though fullback James Develin could also be utilized if needed as Allen will miss his third consecutive game. Allen (knee) is questionable for Sunday's game against the Dolphins, Doug Kyed of NESN.com reports. Analysis: Allen was able to progress to full practice participation Friday, yet he was unable to avoid the questionable tag. Regardless, the 28-year-old appears on track to return to his block-heavy role at tight end for the Patriots after missing the last two games. Analysis: Allen has not taken the field since Week 10, and is still working to recover from a lingering knee injury. The veteran tight end is primarily used as a blocker in New England's offense, so he won't have fantasy value even when fully healthy. Allen (knee) has been ruled out for Sunday's game against Minnesota, Mike Reiss of ESPN.com reports. Analysis: Allen was able to practice on a limited basis Thursday but was downgraded to a non-participant Friday. The 28-year-old will miss his second straight game, leaving Jacob Hollister to serve as the Patriots' No. 2 tight end behind Rob Gronkowski. Allen (knee) was a limited participant in Thursday's practice, Mike Reiss of ESPN.com reports. Analysis: Allen missed New England's win over the Jets in Week 12 and sat out practice to begin this week, but he returned to the field on a limited basis Thursday. Even if Allen is able to suit up against the Vikings on Sunday, he's unlikely to see notable targets with Rob Gronkowski (ankle/back) trending towards playing. Allen (knee) returned to the practice field Thursday, Zack Cox of NESN.com reports. Analysis: Allen was unable to suit up in the Patriots' win over the Jets on Sunday, but he finally made his return to the practice field Thursday. The fact that Allen was able to return to practice is a positive sign for his Week 13 availability. Allen (knee) was not among the participants at Wednesday's practice, Zack Cox of NESN.com reports. Analysis: After missing last week's game against the Jets because of the knee issue, Allen has started off Week 13 on the wrong end of the playing spectrum. Unless he can progress to at least limited participation by Friday, there's a good chance he will miss out on a second consecutive game. Allen (knee) is ruled out for Sunday's game against the Jets, Ben Volin of The Boston Globe reports. Analysis: Allen is the only member of New England's roster to officially be ruled out for Sunday's divisional tilt against the Jets. The veteran tight end was unable to practice in any capacity this week, and will miss his third straight game. With Rob Gronkowski (back/ankle) trending towards suiting up Week 12, Allen's lack of availability is unlikely to have a notable impact on the Patriots' offense. Allen (knee) didn't practice Wednesday. Analysis: Allen was the only member of New England's roster to not practice Wednesday and appears likely to miss Sunday's tilt against the Jets. If the veteran tight end is unable to suit up in Week 12, the impact of his absence could be mitigated by the probable return of Rob Gronkowski (back/ankle). He has missed two straight games and was a limited participant in Wednesday's practice. Allen (knee) wasn't present for the media-access portion of Tuesday's practice, Zack Cox of NESN.com reports. Allen (knee) wasn't spotted at practice Wednesday, Mike Reiss of ESPN.com reports. Allen (knee) is expected to miss a few games, Michael Giardi of NFL Network reports. Analysis: While he isn't expected to require surgery, Allen probably won't be ready to play when the Patriots return from a Week 11 bye. His absence is a bigger loss for Sony Michel than it is for Tom Brady, as the 28-year-old tight end has seen just four targets on 299 offensive snaps this season. The Patriots don't have a clear replacement for Allen's blocking role, though top tight end Rob Gronkowski has always been effective in that regard. Allen was forced out of Sunday's game against the Titans with a knee injury. Analysis: With Rob Gronkowski (back/ankle) inactive Sunday, Jacob Hollister is currently the team's only healthy tight end. Prior to his exit from Sunday's game, Allen had caught one pass for 10 yards. Allen is expected to start at tight end Sunday against the Titans with Rob Gronkowski (back/ankle) likely to miss another week, Kevin Duffy of the Boston Herald reports. Allen was on the field for 66 of a possible 71 snaps on offense in Sunday night's 31-17 win over the Packers. Analysis: Both Rob Gronkowski (back/ankle) and Jacob Hollister (hamstring) were inactive Sunday, leaving Allen as the only tight end the Patriots had available Week 9. 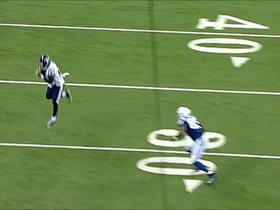 Allen was targeted once in the game, leading to a 21-yard gain, but as usual, Allen's greatest impact was as a blocker. That's not likely to change anytime soon, regardless of his snap count. 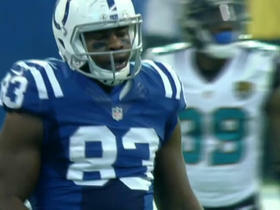 Indianapolis Colts tight end Dwayne Allen catches three touchdowns in the first half. 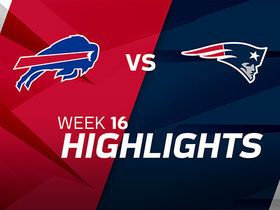 Watch the best plays in the Week 16 matchup between the New England Patriots and the Buffalo Bills. New England Patriots tight end Dwayne Allen dives for a first down. 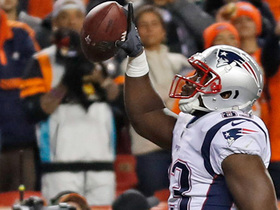 New England Patriots running back Rex Burkhead fumbles but Patriots tight end Dwayne Allen recovers the fumble. New England Patriots tight end Dwayne Allen's scores an 11-yard touchdown against the Denver Broncos. 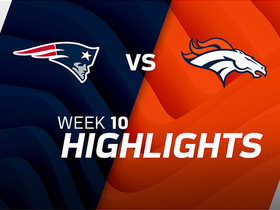 The New England Patriots take on the Denver Broncos in Week 10 of NFL action. 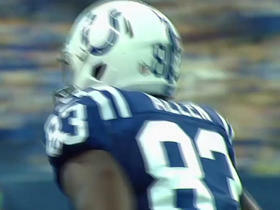 Indianapolis Colts QB Andrew Luck fits a pass to tight end Dwayne Allen for the 15-yard TD. Indianapolis Colts QB Andrew Luck fires a pass to tight end Dwayne Allen for 13 yards. Indianapolis Colts quarterback Andrew Luck is picked off by Houston Texans safety Quintin Demps. 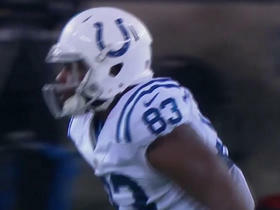 Indianapolis Colts QB Andrew Luck targets and finds tight end Dwayne Allen for 21 yards.